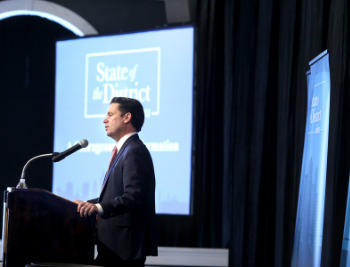 Superintendent Marty Pollio delivered the district's first-ever State of the District address on Wednesday, highlighting the district’s transformation over the past year and outlining several strategies that Jefferson County Public Schools (JCPS) will take to move the district forward. "I started this journey 19 months ago as the acting superintendent," Pollio told a crowd of more than 200 people who gathered at The Olmsted. "At that time, I knew we were a district in crisis. We were facing a state takeover, morale issues throughout the district and, most importantly, we didn’t have that North Star—we were a district of schools instead of a school district." Pollio began his career with JCPS in 1997 at Shawnee and went on to serve as a teacher and assistant principal at Waggener High School before taking the helm as principal of Jeffersontown High School from 2007 to 2015 and Doss High School from 2015 to 2017. "This job for me is a personal one, that is why it's so important," he said. "We can change lives together through this work." 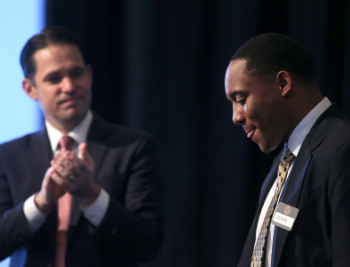 Doss High School senior Quion Lee, who met Pollio when he was a freshman, introduced the superintendent to the crowd. "He believed in me, he showed me that I can be a better person," Lee said. Pollio spoke about the district's Backpack of Success Skills, which he said is "transforming the way our teachers teach and students learn." With the Backpack initiative, students have access to a virtual backpack through Google, where they can place their projects and videos to support what they have learned throughout their Success Skill development. There are five Success Skills in the Graduate Profile—being a prepared and resilient learner, globally and culturally competent citizen, emerging innovator, effective communicator, and productive collaborator—as evidence of their accomplishments. "In 10 months, we have gone from a concept on paper to the implementation of the Backpack at every school and with every student," Pollio said. "Currently, we have over 750,000 artifacts of learning downloaded to the digital backpacks of students." Pollio also spoke about the district's plan to reduce the achievement gaps that exist between student groups. "Few districts in the nation have had the courage to acknowledge these achievement gaps and disproportionate outcomes between white and African-American students like JCPS has," he said. "Our board had the courage to take this unprecedented step and create a bold plan to change outcomes for African-American students." He added that the plan includes specific steps, such as creating more access to programs like Gifted and Talented and magnet opportunities as well as "hiring more minority teachers and administrators to better reflect the student demographics of JCPS." Pollio said improving culture and climate throughout the district have been a top priority. "Every student in every school deserves a school where there is a positive learning environment, engaging instruction, and positive relationships occur between students and adults," he said. At the same time, Pollio said JCPS has added "more supports for students than we have ever had." "Our board took the bold step of approving a mental health practitioner for every school," he said. "Every student will now have access to these desperately needed supports at all of our schools." The Academies of Louisville have brought "relevance to instruction" as every student is on a pathway within a career academy, Pollio said. "In our first year, the number of business partners has grown from 13 to over 100," he said. Academies of Louisville now includes 17,600 students at 14 of our high schools." As the district moves forward, Pollio said there will be a lot of changes on how the district budgets its money. "I am fully committed to making sure that we put our money where its most needed—in our schools and the programs that directly support our students," he said. Pollio then spoke about facilities. 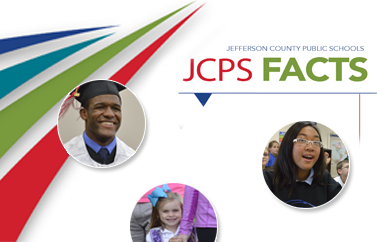 "Over the past decade, it has been well documented about the facility needs in JCPS," he said, adding that the district has over $1 billion in facility improvement needs. "This is tough, hard work. None of these decisions are easy. I’m proud to say that we are taking the first step in changing our facilities to reflect a new modern learning experience for our students." In closing, Pollio provided an update on the JCPS Employee-Sponsored Student Scholarship Fund. 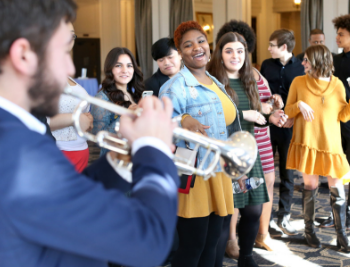 "Over the summer, we took another courageous step to ensure our students have the opportunity to continue with postsecondary education," he said. "To date, this scholarship fund has raised more than $60,000 to help our students go beyond high school." High school seniors have until March 15 to apply for the scholarships. Community members can now donate to the scholarship fund by texting "JCPS" to 243725 and through the link below.